Hello all! I’m happy that I’m able to finally blog about this dress! I sewed this for my BBF visiting from Spain over the summer as a late birthday present. Luckily I was able to take her measurements but of course I forgot about ease and the dress is a little too big around the waist…sad face. Oh well. It doesn’t bother me too much considering this was the first time I sewed for someone else…and it was fun! 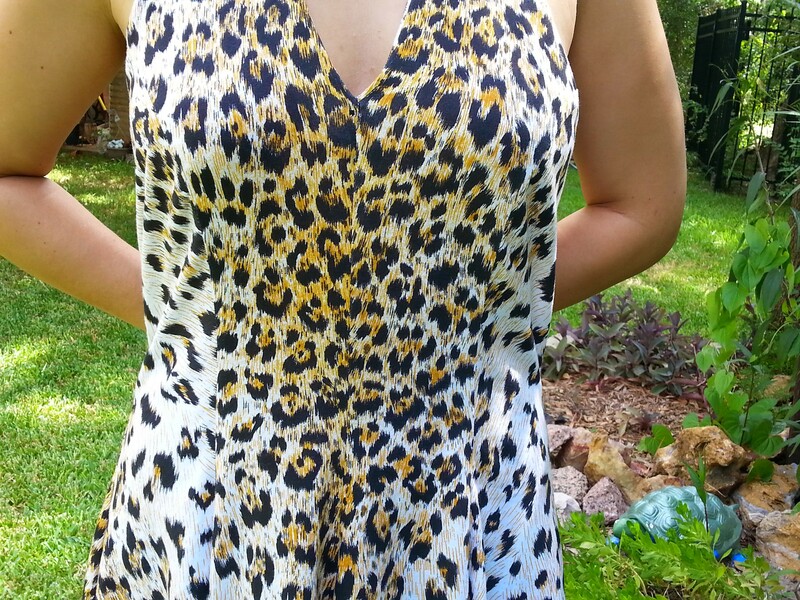 Halter tops and animal print are new to me and I was afraid of the combination but it turned out nicely. As you can see in this picture, the sides could have been taken in at least an inch or two from both sides. I tried my best to line up the pattern but after a while it was getting hard to look at! I have the same problem with stripes, and this one fabric I bought forever ago to make a dress that will be referred to as “The Vomit Dress” because you seriously can’t look at it for more than a minute without having the urge to spew… anyway, I purchased the fabric on sale at Hancock fabrics. WOO! From behind the dress doesn’t look like there’s a fitting issue. I know Meredith is pleased with the dress but I am sort of a perfectionist and naturally I was bothered LOL. 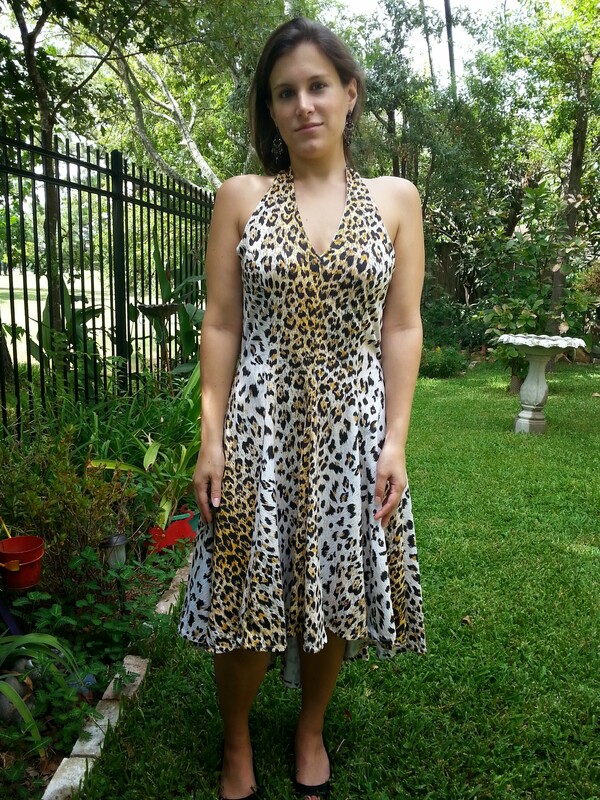 I love this dress, because you know I love leopard print. I think the waist looks fine. The tie at the neck is great too. Tell Mere I said hello.